It will be hard not to fall head over heels in love with this elevated, Stunning, 5 ***** Quality home with awesome Timber floors, unique wide staircase, very Low Maintenance, Natural Breezes and easy maintenance Garden. Bank on a Glowing Smile from everyone who visits the “forget-me-not good looks”! This Ultra Spacious beauty will certainly attract a ‘Brady Bunch’ … Add a Teenager’s Retreat with Own Bathroom, 5 Spacious Bedrooms, 4 to 5 Living Areas, Uninterrupted Views and Wow … you have a handsdown Winner here! Nothing to do … just Enjoy! This Insulated home is Loaded with 24 Carat Quality and Space! If the Spa Bath in the master bedroom does not tickle you, the bubbles will! Fancy your own Games / Pool room? There is 4 – 5 Living areas to Entertain, Relax and Enjoy. Every time you turn a corner there’s something crisply Modern to discover. It makes your toes laugh and your eyes Sparkle. 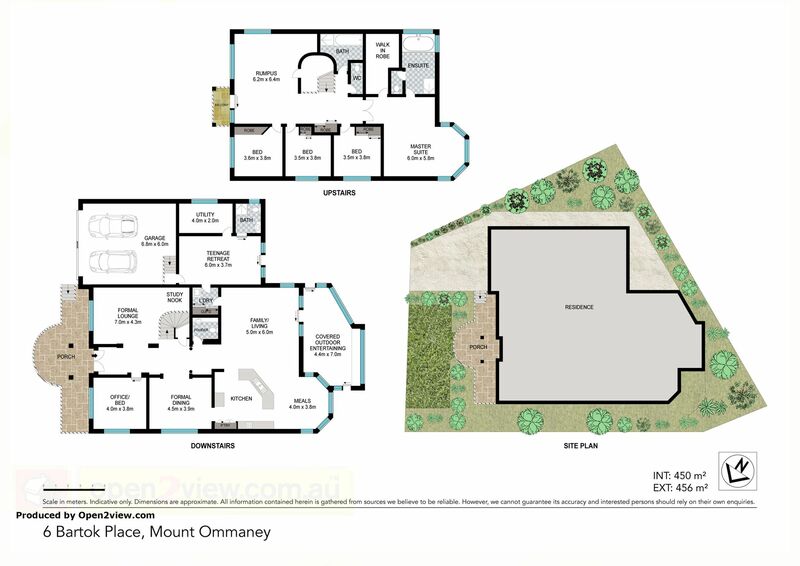 – Open Plan Living area / Rumpus room – Put the Big Screen here! – 3 Spacious bedrooms with built ins and air con! – Teenager’s Retreat with Own Bathroom/ Toilet / Vanity & small courtyard! – Double Lock-up Garage with Remote control door with Internal access : your Cars will Love Living here! GOOD things come to those who DON’T WAIT! BE SMART. Call Demelza NOW to arrange for your personal Inspection or inspect at the open home!